After hearing this, the team thought it would be a great experience for the child to visit the jobsite. So on July 5th, three construction workers took the child on a tour. There were three construction workers, Jon Centofanti & Joe Principe, Carpenters for Giorgi Interiors, and Anthony Nail, Carpenter for OCP. Nail had brought some shirts in from the Carpenters Union and gave the child a D/T Hard Hat, Hi-Vis Vest and safety glasses. 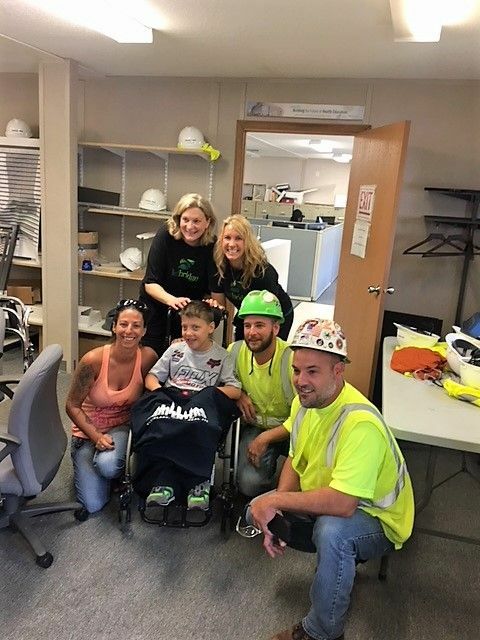 The two women from UCP and the child’s mother were overwhelmed at the kindness from the construction trades and the opportunity for him to get out and see the building. It’s nice to know that random acts of kindness can go so far, and mean so much to a young person! To view the full, original article, visit CEA.